Our informative webcasts provide in-depth insight into the typographic products and tools available on Fonts.com. Learn tips and tricks to get the most out of your desktop fonts, Web fonts subscriptions, and more! 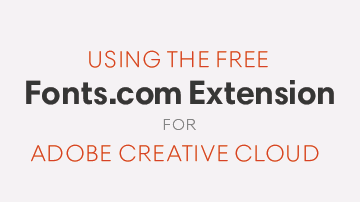 Fonts.com subscriptions are even easier to use thanks to the new Fonts.com Extension for Adobe® Creative Cloud™. You can now browse our inventory of fonts right from your favorite Adobe Creative Suite® and Creative Cloud apps. 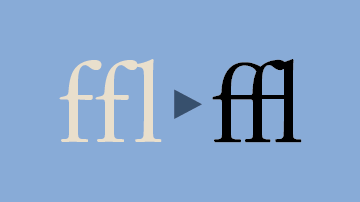 The Fonts.com Web Fonts service allows subscribers to have finely tuned control over their Web typography — even for browsers that do not feature solid OpenType substitution features. We’ll demo our technology and show you how to get the most out of your Fonts.com Web fonts subscription. 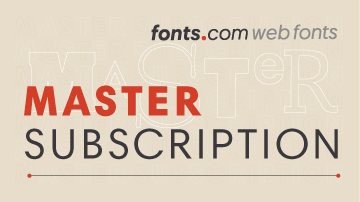 Learn all the details of the first-of-its-kind Fonts.com Master Subscription. With unlimited mockup and desktop font benefits, this solutions provides a comprehensive suite of tools for both Web and print design needs.